TO SEE IT IS TO LOVE IT! 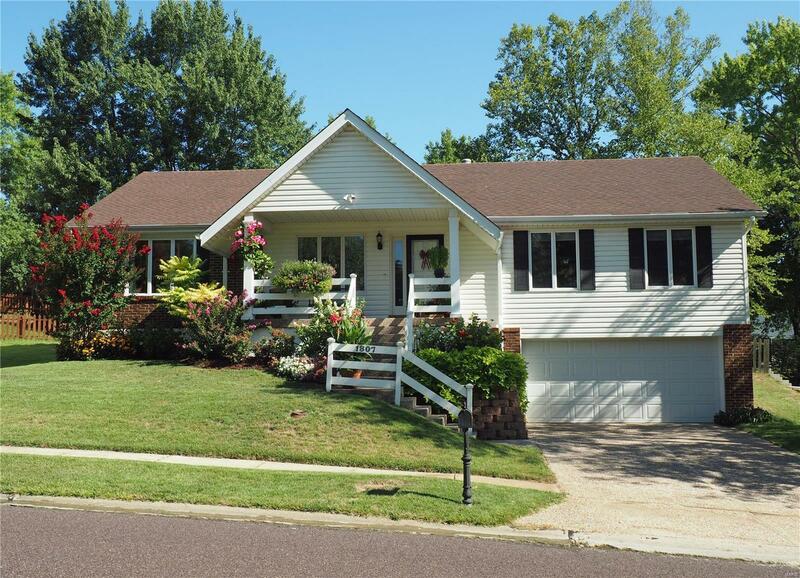 This updated great room ranch exudes charm & splendid curb appeal! Over 1800+sf, open floor plan & rich Brazilian Cherry hardwood floors. Sun-lit Living & Dining rm complimented w/ crown molding. Wood-burning & stone fireplace is the focal point in vaulted great rm. The kitchen is well appointed w/ Quartz counter tops, Maple custom cabinets, stainless steel Kitchen-aid appliances including gas cook top & double convection oven + microwave. Adjoining breakfast room w/ glass slider provides access to level & partially fenced back yard. Master suite features His/Her closets, additional dressing area & updated master bth. 2 spacious BRâs share full hall bth. This 3BR charmer is situated on nearly .25ac lot w/ over-sized 2 car garage, in AAA Parkway Schools & close proximity to highways 270, 40 & 44. Combination of price, location & condition cant be beat!